Your opinion matters. Leave your review of Homeless Solutions, Inc..
We provide four separate Shelter Programs, a Transitional Housing Program, and The Mt. Kemble Home, a program for senior women of limited means. The Family Shelter Program for women and their children provides case management, independent living skills training, parenting education, counseling, linkages to medical care, child care, and transportation. Over 50% of those entering the shelter are survivors of domestic violence. Ten families can be sheltered at a time. Approximately 25 – 30 families, including over 60 children and 47 single women are served each year. Homeless Solutions is able to provide shelter for as many as 25 homeless men at one time with about 100 men served annually. The Men’s Shelter Program provides case management services; money management training, and assists with benefits enrollment and placement in permanent housing. This Program serves about 115 men each year. The Safe Haven Shelter Program, in partnership with the Mental Health Association, provides shelter and services for homeless people with a mental health diagnosis. This is the only program of its kind in the state, and we can house up to 20 men and women, providing case management and outreach services. Annually, Safe Haven shelters 50 – 60 individuals. Homeless Solutions Transitional Housing Program offers support and training to families who are making the move to independence. In order to eradicate the underlying issues associated with recurring homelessness, structured supervision is provided to foster self-sufficiency. The participants are housed in ten self-contained apartments. When participants move out of THP, they are given the opportunity to enroll in HSI’s Family Supportive Housing Program, also known as ‘Outreach.’ This Program provides follow up case management services for two-years following their exit. These families can continue to attend educational workshops and participate in the seasonal item distributions. The goal of this program is to ensure that they remain housed and do not cycle back into homelessness. The Mt. Kemble Home in Morristown was founded in 1883 to provide affordable housing for senior women of limited means The Home is listed on national and state historic registers, in part due to its unique, purpose-built social mission. Unfortunately, due to mounting financial pressures and other organizational challenges, it was in danger of having to close. The HSI Board and staff knew that if this happened, the 19 residents there would struggle to find safe, decent housing so we worked with the Board of The Mt. Kemble Home and decided that the best outcome would be for HSI to take over The Mount Kemble Home. Effective May 1, 2013, The Mt. Kemble Home moved under the HSI umbrella, and we are happy to be able to include The Home as one of our programs providing shelter, housing, and supportive services to low-income people. We hosted a ribbon cutting in January of 2017 on our completed extensive, multi-phased renovation. Due to our renovation, The Home now houses 22 residents. Do you have items to donate? 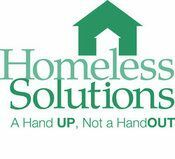 Contact Homeless Solutions, Inc. at the phone number provided above to see if they can use any items you may have to donate.